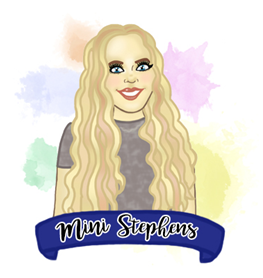 Mini Stephens: Visiting Picturesque Towns! Living in Cheltenham - on the edge of the Cotswold's - means we're very lucky to be surrounded by lots of small town's that are no more than an hour away. They're the best places to visit when all you want to do is get away from reality for a little while. They're full of a countless amount of individual shops and cafés and even just wandering through the pretty little town or alongside the river is the loveliest thing to do. Even if it's only for a couple of hours, visiting a nearby town that I've never been to before or I can barely remember visiting previously, is one of my absolute favourite things to do. Walking through a new place and not knowing where we'll end up - what shops we'll discover or how we'll find our way back has a certain excitement about it. When we visited Evesham in the summer we were lucky enough to be able to enjoy not only the super hot weather that the weekend produced, but also the Medieval Festival (celebrating the 750th Anniversary of the Battle Of Evesham) that we didn't even realise was taking place that day. We took the riverside walk into the town where we found a small café to have lunch in, before we took the route via the Bell Tower back towards the Medieval Festival. Once we arrived there we looked around the stalls that made up the majority of the Festival, they included things like medieval jewellery and costumes but there were also food tents that sold local ales, hot drinks, cakes, Burgers, and they even had a Spit Roast. It was also really cool to see the adults and children dressed up in their medieval costumes and sat around fires outside of their Camps - along with the big white tents that all the stalls were placed in, the dressing up aspect really made the whole event more realistic as they had horse's and jousting events happening too. Recently, we've also visited Ross-On-Wye a small picturesque town that has a bustling high street - so it was great to visit to do a bit of shopping but also to visit their market which was held in a really old, historic building. We've been to Clevedon, a beautiful seaside town near Weston-Super-Mare that has a lovely sea front walk which ends with the Clevedon pier, which is nice to stroll along and visit, even though it was a bit pricey to access. Bourton-On-The-Water, is somewhere we visit a few times a year but the lovely stroll through the village and having lunch in a different café everytime we visit, never gets boring. Although Bibury has a lack of shops and restaurants to choose from, their small walk around the village is really beautiful and I always love visiting the trout farm as it brings back lots of memories from my childhood, of when we use to spend days there feeding the fish. The most recent place we've visited is Stratford-Upon-Avon, the last time we visited there was a good 6 years ago, so we could barely remember where we'd been and what we'd done. But it was fun to try and figure out where we'd been previously and suddenly recongise different parts of the town such as the River Avon. This time we decided we'd walk through the town - something we new we didn't get to do previously - so we took the time to visit completely unique shops such as The Nutcracker Christmas Shop (who doesn't like christmas??) and The Enchanting World Of Wizard's Thatch (Ok it sounds strange but it was honestly the coolest shop, I was so mesmerized by everything in there and I even bought some unique Alice In Wonderland playing cards). We also managed to find Shakespeare's birthplace which was really interesting to see. The old Tudor buildings in Stratford were really amazing as wel;ots of the modern day shops and cafés such as Costa and WHSmiths were placed in these historic buildings and although they were modern inside, just walking past them made the whole town seem more historic and interesting as it was obvious that the buildings had stories to tell. I love visiting all these different places, especially as they're smaller towns that not everyone knows about, I'd definitely recommend visiting somewhere new, it's weirdly therapeutic. If you want to see more photos of my trips to different little towns visit my Instagram by clicking here! "At least once a year go someplace you've never been before"